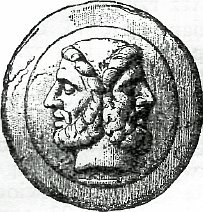 Janus, the Roman god of new beginnings and transitions, is usually depicted with two faces – simultaneously facing the past and the future at once. The whole month of January is named after this symbolic figure, and he’s often associated with January’s biggest holiday: New Year’s Day. As such, it is only fitting that January be a time of reflection on the past year’s successes and failures, as well as planning toward the goals and accomplishments we want to see in the new year. With that in mind, here are some musings and observations from the web industry in 2014. Google isn’t the upstart it used to be. It’s an established player in the big media game, and that’s big enough to put them in a position to answer to politicians, governments, and public pressure from investors. As it stands, the economic and regulatory environment strongly favors consolidation. Investment firms and private equity are flush with cash thanks to boom times in the financial markets compared to depressed prices in other industries, so it’s a great time for investors to acquire assets at relatively low long-term prices. What this means for the web industry, and Google in particular, is that BobsWidgetBlog.com doesn’t have the same kind of advertising budget as GlobalWidgetCorp, LLC (a subsidiary of uber-mega-bank). As much as techno-utopians and anarcho-populists love to emphasize the democratizing nature of online communications, that doesn’t mean Google has any particular incentives to give you free traffic from search results. If you really insist on making Google the big part of your traffic strategy, you have to figure out how you’re going to create a huge brand that has a massive social media presence and inside connections at other huge brands. What’s good for Google can be good for you too – but it’s probably going to happen through consulting or taking on a job in the web industry. While there is a lot of consolidation going on, and a lot of smaller sites going under, the bigger picture is still one of rapid growth. Every category of online advertising seems to be experiencing double-digit annual expansion. There’s pretty much no other industry that grew at that rate from 2008 to 2014. Even oil’s crashed. All signs point to continued growth, maturation, and consolidation in online media. Cable companies are struggling to control broadcast media, and even movie theaters are having a hard time staying relevant as more and more production companies start to consider online premiers as legitimate release strategies. We’re not quite to the point of watching the big summer blockbuster in your living room, but we’re headed there – and we’re getting really close. Netflix is still under a good bit of pressure from the studios, but the longer it survives the assault on the on-demand content library, the more reliant those same studios are coming to be on Netflix revenue. Other competitors to Netflix are popping up as well, but this reflects the fact that their business model is ultimately sound. In short, there is basically no reason to expect a slowdown in the web economy. If things seem tough, it might be a time to step back and evaluate your perspective and approach!